Forgive my indulgence as I share with you my love for City. 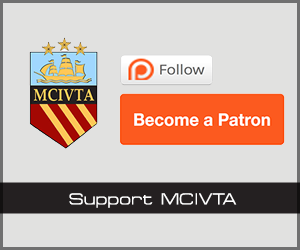 I last contributed to MCIVTA in 1999 and we all know what happened then! I have been reflecting on the most wonderful day I can ever recall in City’s history. 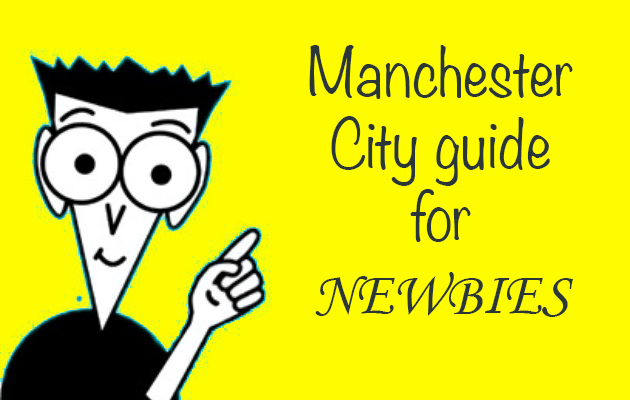 Like so many of your readers I have been supporting City for most of my life (aged 53). Dad was a Red (RIP, left us in 1974) and my elder brother decided that was his way too. As my surname is Doyle and middle name is Mike, there really was only one club for me. I was lucky enough to watch that magnificent team through our glory years when we were top dogs in Manchester and I have never lost faith or wavered, not even for a single minute, throughout all the heartache and lonely times we have endured. I come from a large Irish family (5 boys and 3 girls – all born in Manchester). Two younger lads went to the Red side and youngest brother came with me (more later). Sisters have been pretty much neutral other than they all married Reds (two Rags and one ‘Pool’ ). Mum is still alive and well in Cheetham Hill and is a Blue (mainly through me and younger Bro’ cajoling her over the years and the fact that she detests bragging Rags). I left Manchester at 16 and joined the Royal Navy (served for 20 years) and have settled in the South of England for most of my adult life, with continuous visits home to see family and, of course, City. I joined the RN on Tuesday 11 November 1975 and for those historians amongst us ’twas the day before the famous/infamous 4-0 win against the Rags in the League Cup, which also marked the day ‘the King’ was effectively finished as a supreme athlete and magnificent footballer (it still brings a tear to my eye when I think about what might have been for him). I was serving in the submarine base at Faslane, Scotland, when Colin’s testimonial came around and travelled down with a Blue mate and two Liverpool lads to watch the game and pay homage. Unashamedly, I cried like a baby when he came over to the Kippax to say his farewells. I met a lovely Portsmouth girl, got married and have 3 wonderful children, 2 boys and 1 girl, all ‘dyed in the wool Blues’ . My lads have endured so much throughout their tender years (aged 30 and 26) with Manchester Rag uncles and cousins constantly harping and sniping to them over the years. I took the youngest lad to the relegation game versus Liverpool (2-2 draw), the last ever game at Maine Road and the relegation game at Ipswich. We were all in Manchester, with my younger Bro’ to watch the Gillingham game in a pub in Cheetham Hill (mostly Rags live there) and had to endure those 4 minutes of torture together, which culminated with Dicky’s equaliser, and ensuing mayhem! My youngest lad now plays semi-pro for Woking FC in the National Conference and a recent interview for the match programme saw him ‘have a go’ at me for putting him through so much torment and making him cry as a young boy. My eldest boy is also a football-mad Blue and we watched the 6-1 demolition derby together in Surrey University (Guildford) Sports Bar where, you guessed it, we were the only Blues amongst a plethora of Rags (honestly, not one Mancunian amongst them). It was such a glorious feeling to be with my boy, sharing a pint or two and watching the Surrey Rags squirm. My daughter is in 3rd year at Kingston University and is also a massive Blue and I was so lucky last year to have been able to get 4 tickets to take them all to Wembley, where we met up with my Little Bro’ (now aged 42 and living in Clacton-on-sea in Essex) and his eldest boy, my godson (of course a Blue). We had the best day of our lives watching the Blues win the FA Cup. I cried so much with seeing the joy on my kids’ faces and pinching myself that I was with them during one of our finest hours. Fast forward to last Sunday and I was in Gibraltar on a Royal Navy football vets tour (won both our games) with long time great Navy mates, some of whom are Rags (non-Mancunians). Also amongst us were three Sunderland supporters and two Liverpool supporters. We met at Heathrow on Friday 11th to fly direct to Gib. and I started the weekend off with singing “Fergie are you listening, keep the trophy glistening…” etc. I sang this ditty amongst others all weekend and the lads were beginning to tire of me: “You had better bloody win now!” , “Will you stop singing that ‘beeping’ song!” were some of the nicer comments I received. We settled down to watch the two games in a pub with 4 large screens and my emotions were running wild with anticipation. I was feeling confident but, as with City, a little nervous of what might be. With literally 10 minutes to go I asked my Sunderland mates “is there any chance your lot could score a goal for us today?” An unequivocal “NO!” came back as the answer. “OK, then we will just have to score two of our own then won’t we!” said I, not really believing it was possible. My Liverpool mates were saying City were a disgrace for letting the Rags win another title (which of course would have taken them two past Liverpool’s record). The rest is history and again I make no apologies for crying/sobbing like a baby in the pub, with all the lads so pleased for me (even the plastic Rags said well done!). I called my kids and brother and cried/shouted/sang down the phone to them and, basically, had the best day of my football life. I am still on cloud nine and love our club so much it hurts. How good was it for City to ask ‘Buzzer’ and ‘Skip’ to walk onto the pitch with the Premier League trophy and to present to our current heroes and fantastic skipper in Vincent Kompany (my God that man has so much class). I honestly would not swap a single player for any other in the Premier League (including van Persie – who is a magnificent player) for any of our wonderful team. To end this “Why Blue?” , a very funny story: travelling back last Monday from Gib. to London, one of my Sunderland mates called his brother, who had been at the match versus the Rags and told him that everything had been set up for the Rags to celebrate with fireworks at the Stadium of Light when at, literally, the last seconds the news filtered through that the Blues had won the match versus QPR, whereupon the head workman honcho signalled to his troops with a chopping motion under his throat… “Lads, stow the kit, apparently City have p*ssed on their parade” … you couldn’t pay enough to see the Rags’ and Fergie’s faces! Keep the faith and enjoy the ride, ’cause the noisy neighbours are not going away!